Get to know about the most important mistakes that small businesses make when implementing branding strategy. It’s a current market fact that branding can’t be ignored. No matter in what industry, the business is, it needs to branded or else it’ll fade away. Period. There’s a lot of things that need to consider when branding small businesses. Here are 5 branding mistakes that small businesses should avoid to build a reputation that sells. Logo Design – Make sure you get it done by some professional firm rather than any newbie designer. Never opt for cheap online Logo makers. Website – Make your business presence online, or else you’re leaving behind a vacant space that’ll be filled by some competitor, and you’ll end up in losing the potential leads. Slogans & Product Taglines – “Just do it.” What comes to your mind when you read or heard these words? Obviously Nike. But why only Nike? Because they made us relate it as a slogan for their business. That’s where you get to know the importance of business and product slogans. Colors – Every color have its psychological meaning. Each one describes the element and meaning behind it. So use only the industry matching colors for your brand. 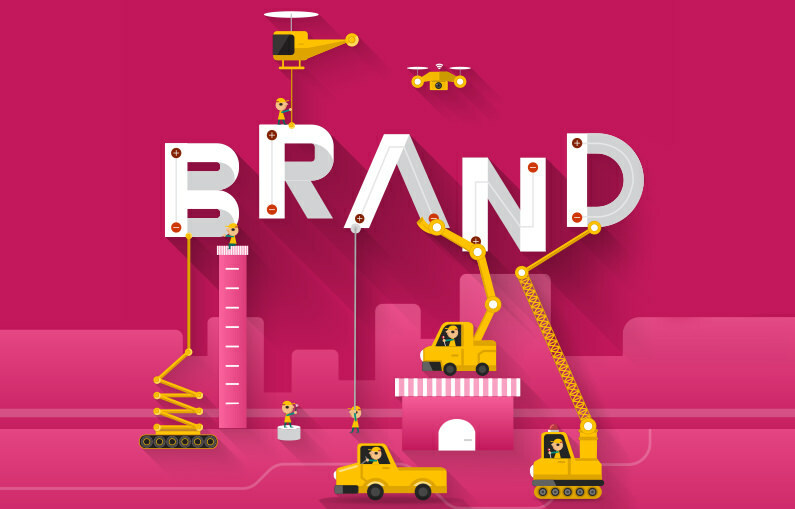 That’s clearly not a comprehensive list, but these are the crucial things needed for branding. Without them, your branding efforts will go in vein and lack behind in direction for success. There shouldn’t be any doubt about the power and depth of social media when it comes to building an online brand. Every smart entrepreneur and the small business owner use different social platforms to spread their word. It helps them create exposure to their brand. Based on personal experience in helping businesses with their social media strategies, I observed that the curious or confused leads were getting closed just by pitching them the Facebook Reviews. It’s not about building profiles on social media platforms. It’s about the trust building. Once companies make their brand identity, they should not change it completely. They need to be consistent with it. They shouldn’t make early changes in their brand designs. Now you’d be wondering what’s the consistency then? Well in branding, it means to make your efforts wide. Don’t limit your words to fewer sources. Your target audience must see your name, slogan, Logo and brand colors, again and again, to keep the flow consistent. Do branding but don’t do the vague one. Don’t make your brand guidelines indistinct and opposite to your services. Including the elements in the branding campaign that doesn’t represent the business theme is the biggest mistake some of the small businesses often make. Examples of this mistake often seen in generic Logos or marketing taglines. The only solution to this problem is to keep the things simple and clear. There’s no denying the fact that tracking is a basic rule of every digital process. Many small businesses invest in branding which is a significant step towards their growth, BUT some of them ignore the tracking factor. If they aren’t tracking the progress of their efforts, then they won’t be able to enhance the results further. So what you can do to avoid this mistake? Well, it’s simple, make sheets, collect data and integrate the project tracking tools like Trello into your workflow. Branding is a must “do thing” for small businesses in today’s competitive market. It’s a way to grow the company as a brand. It’s a discipline that doesn’t need to be complicated. Focus, intention and the avoidance of the above-discussed mistakes can get you results driven business connections. Based in NY, I'm a professional branding expert and digital marketing consultant. I love to take start from scratch and turn a business into a brand.